Looking for the lowest rates and best location for your next Miami Beach Hotel stay?Well, you can shop around and try all the price quotes but if you really want to save time and money just give us a call and ask for our best available internet rates and you'll be pleasantly surprised!! The award-winning International Hispanic Theatre Festival of Miami is presented by Teatro Avante, American Airlines, the Adrienne Arsht Center for the Performing Arts, and the Prometeo Theatre. The festival features performances by some of the best Hispanic theatre productions from Latin America, Europe and the United States. Events will be held at various locations in Miami. The festival will run from July 12-29, 2012. 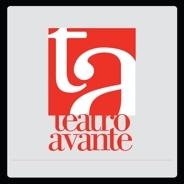 For more info, visit thewww.theatreavante.com or call 305-445-8877. One of the biggest days of celebration of the year across the entire country is 4th of July.If you're looking to spice up your Independence Day celebration this year, check of the Miami Beach 4th of July. Take a trip to sultry South Florida and you will spend this patriotic holiday soaking up the sun on the beach and indulging in the legendary nightlife of Miami Beach. In addition to the fireworks spectacular, there are also many other forms of entertainment. Free concerts get started around 6:30 p.m. at 8th Street and Ocean Drive before the fireworks. In the past, performances have included blues and jazz, celebrating two forms of uniquely American music. On behalf of everyone at the Miami Beach Hotels we wish you all a very Happy Father's day !!! There are many ways to celebrate with your Dad on Father's Day.Choose from the list of special Father's Day events in Miami, or just get an idea for something fun and relaxing to do together. Dad get in free at the Miami Science Museum all weekend, and both kids and Dads will like the variety of activities during Big Trucks Days. Free car and motorcycle show held at Peterson's Harley Davidson of North Miami. The Father's Day Classic Car Show will be going on at Misner Park in Boca Raton. -Take a Father's Day Dinners Cruise. Island Queen Cruises is offering a BBQ dinner cruise aboard the Venetian Lady.Reservations are required. Enjoy a day of family fun at one of the best attraction for kids in Miami. -Spend a Day at the beach. Relax and enjoy the sun and sand at one of the best beaches of Miami. Gold Coast Railroad Museum is offering free admission to Dad with the purchase of a child's admission. Miami is known for luxury spas that are ranked among the best in the U.S. For the months of July and August, enjoy special treatments for $99 at Miami's premier spas. If you are just looking for a little pampering visit www.MiamiSpaMonth.com and experience it for yourself! Come at your Miami Beach Hotel and feel free to pass along the invite to friends and family. Want to see whats happening and upcoming events here in Miami Beach? Then visit http:// www.experiencemiamiandbeaches.com to see some of the great events that this vibrant city has to offer and then book your Miami Beach Hotels stays with us. Come on down,the sun is shinning! Looking for a deal when dinning in Miami?Then check out www.ilovemiamispice.com sponsored by the Greater Miami Convention & Visitors Bureau(GMCVB),this program brings together some of Miami's finest restaurants and menus with special offers.Don't forget book your room with us at www.GoMiamiBeach.com and Bon Appetite! !